The Building Enclosure is authored by Built Environments, a full service architectural and consulting firm headquartered in St. Paul, Minnesota. The Building Enclosure is a blog, educational resource, and advocacy for resilient whole-building design. It addresses important industry pitfalls and promotes strategies on matters pertinent to building durability, energy efficiency, sustainability, restoration & preservation, and general design & construction practices. Articles are drawn from our broad experiences in architectural forensics, building science, and intelligent design. We recognize the growing transformation in design and building practices, which strive for ever greater achievements in sustainability, energy efficiency, durability, and occupant health. This era brings new tools, new ideas, and new initiatives. But it also brings new challenges and unintended consequences. The Building Enclosure draws important, sometimes controversial, issues to the surface for the purpose of constructive discourse. It also empowers strategies for improved design that are both substantive and creative. The Building Enclosure is part think tank. We welcome your comments and contributions on topics relevant to our stated mission. Please contact us to discuss your ideas for participation or collaboration. 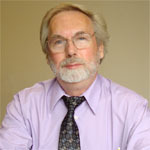 M. Steven Doggett, Ph.D., LEED AP – Dr. Doggett is the founder and principal scientist of Built Environments. He has over 20 years of experience consulting with architects, contractors, developers, building owners, and government agencies on building enclosure performance. Dr. Doggett’s expertise combines advance building science with extensive field and design experience to help multi-stakeholders achieve resilient, high-performing buildings. He has served as the principal investigator and senior project manager on hundreds of projects involving all markets and all building types. 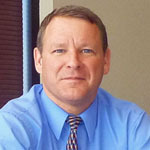 Dr. Doggett currently chairs the Minnesota chapter of the Building Enclosure Council (BEC-MN.org), an initiative formed as part of the Building Enclosure Technology and Environment Council (BETEC) and the National Institute of Building Sciences. Robert F. Brunjes, AIA – Mr. Brunjes serves as the principal architect for Built Environments. He is a licensed architect with over 30 years of professional practice experience. His design experience includes a diverse portfolio of project types including commercial and municipal buildings, industrial facilities, schools, churches, and residential projects. His practice has generated innovative design solutions that integrate improved building performance, sustainable design, and enhanced environmental quality. Mr. Brunjes also brings over a decade of investigative and management experience involving distressed buildings affected by construction defects, material failures, and water damage.